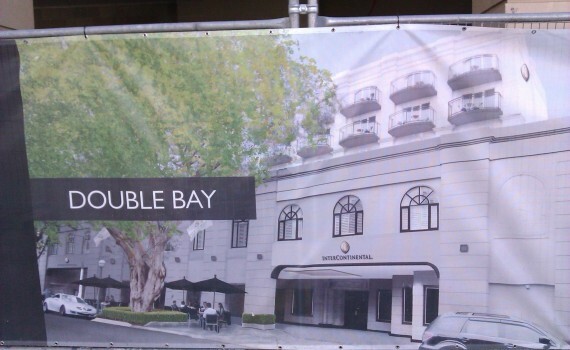 Double Bay Hotel reopening soon! Corporate Event Organizers in Sydney are very excited that the InterContinental Hotels Group (IHG) will soon be re-opening the newly refurbished Intercontinental Hotel in Double Bay. The Hotel opened as the Ritz Carlton Double Bay back in 1991 and was loved by event organisers as a great location close to Sydney’s CBD, but far enough away as a ‘getaway’ to use for all sorts of conferences and events. In 2001 it was taken over and renamed as the Stamford Plaza Double Bay, until 2007 when the hotel closed down for redevelopment. I was very lucky to recently be taken on a hard hat tour of this grand old lady, to see it undergoing it’s multi-million dollar refurbishment. I was very pleased to see how elements of the former hotels are being retained – such as the gorgeous wood paneling and grand old stair rail, see photo below – whilst the hotel is also receiving a contemporary new look. The designers seem to have some exciting new concepts for the layout, modernised AV equipment and awesome new roof top pool and leisure space. Only a 10 minute drive from Sydney’s CBD along New South Head Road, and also accessible by ferry from Circular Quay to Double Bay Wharf – with the recent conversion of the Swiss Grand Hotel at Bondi Beach into apartments – this much needed eastern suburbs hotel is going to be an excellent, additional proposition for Sydney corporate events. 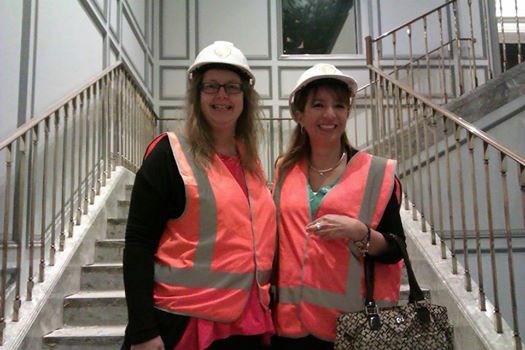 The hotel will be opening from mid-November 2014. It will have 140 bedrooms; a pillarless ballroom that can seat up to 300 theatre style; and 6 other meeting rooms suitable for breakouts, boardroom style meetings etc. For more information on the Hotel view http://www.ihg.com/intercontinental/hotels/gb/en/sydney/sydic/hoteldetail.